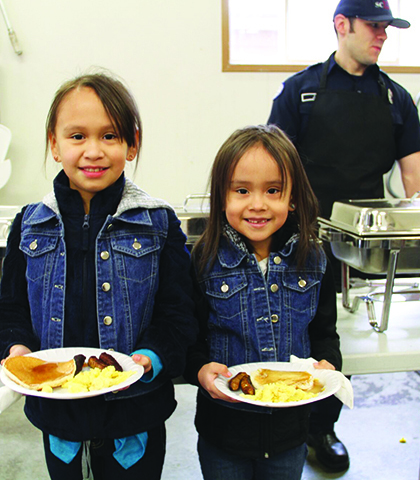 On the morning of Sunday March 25, Tulalip community members gathered at the Tulalip Bay Fire Department to enjoy the most important meal of the day while honoring an important man, to both the Tulalip community as well as the Fire Department. 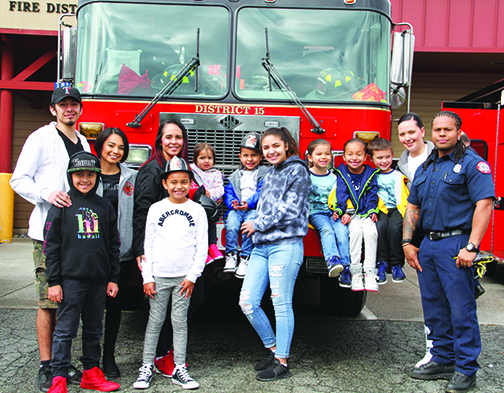 LeRoy Fryberg Sr. dedicated more than thirty years of his life volunteering as a firefighter for Tulalip Bay Fire Department and the Department plans on hosting a pancake breakfast every year in remembrance of the local hero. 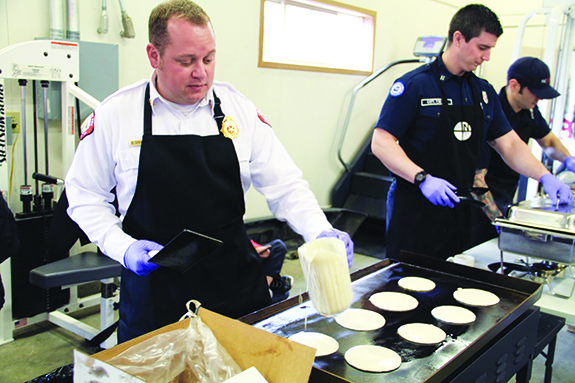 The community was treated to a delicious breakfast prepared by the firefighters. 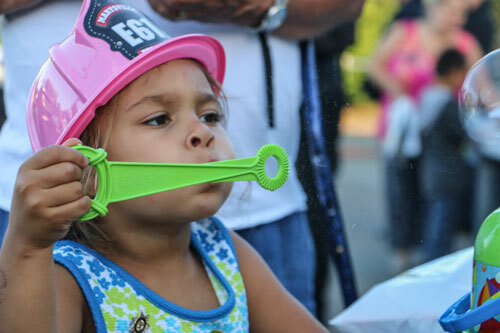 Kids and elders had a blast, taking turns spraying the fire hose. 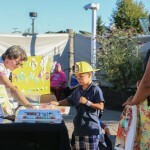 Tulalip citizens were also able to tour the fire station, play ping-pong and meet the new Fire Chief, Ryan Shaughnessy. 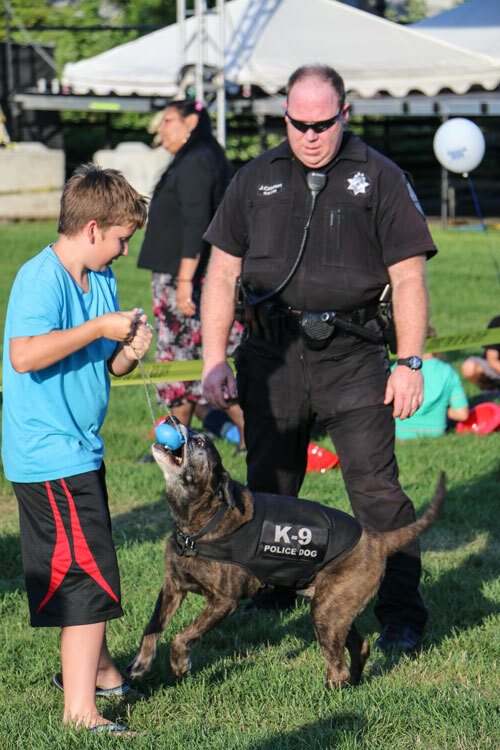 According to family members in attendance, the event was the perfect way to honor LeRoy’s legacy. 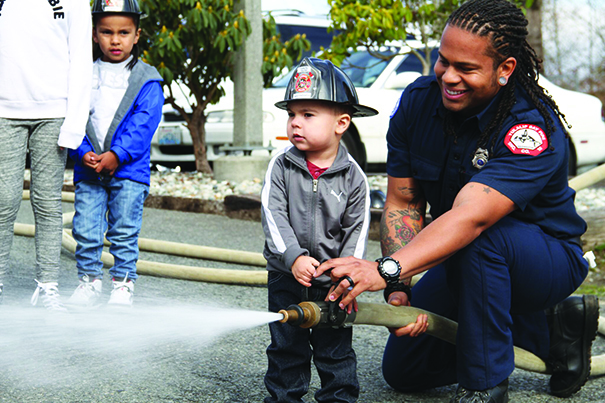 The Tulalip Bay Fire Department is currently working full steam ahead, making new changes within the department including the unveiling of a new logo that features the Tulalip killer whale, as well as officially changing the name of the department from Snohomish County Fire District #15 to the Tulalip Bay Fire Department and hosting more community-based events. For further details, please contact the Tulalip Bay Fire Department at (360) 659-2416. “HO! HO! HO! 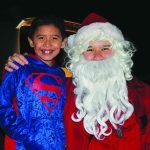 Merry Christmas!” rang throughout the neighborhoods of the Tulalip reservation during the weekend of December 15-17. 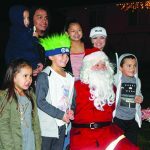 The loud holiday expressions were from none other than Santa Clause himself, as he walked the streets of the community accompanied by the Tulalip Bay Fire Department. 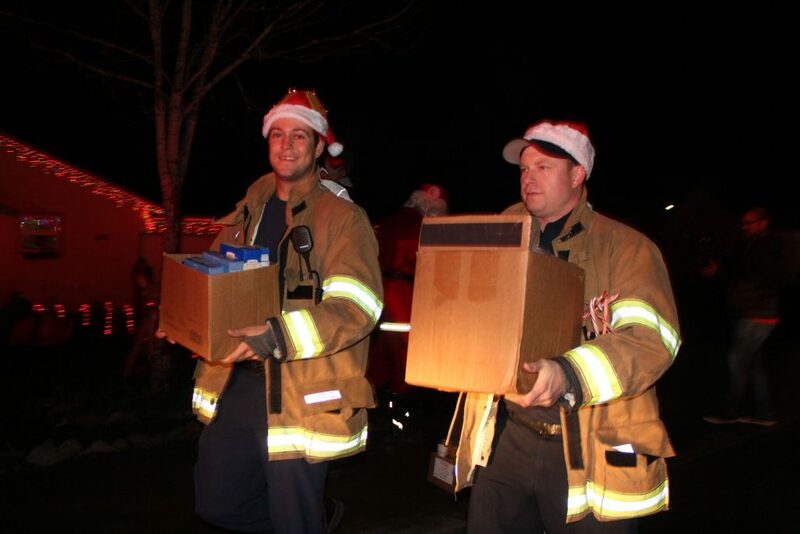 Every year, Santa joins the firefighters to hand out candy canes to the children, while the Fire Department collects canned foods and cash from community members who are kind enough to donate to the less fortunate during the holidays. 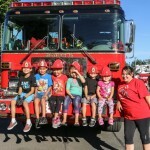 The yearly occurrence is known as the Tulalip Bay Fire Department Annual Santa Run and is remarkably popular within the community. 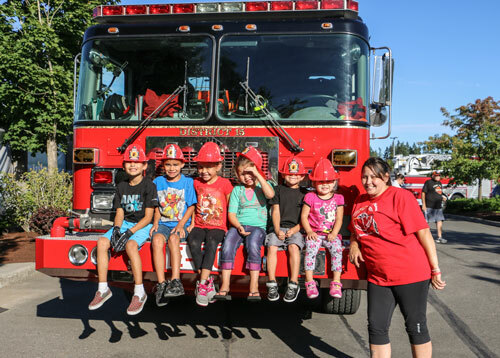 Many children anxiously wait for the Christmas-decorated firetruck to pull up on their street, because they know that means Santa is near. Equally shocked and excited, the children enthusiastically greet Saint Nick to let him know what’s at the top of their Christmas list. 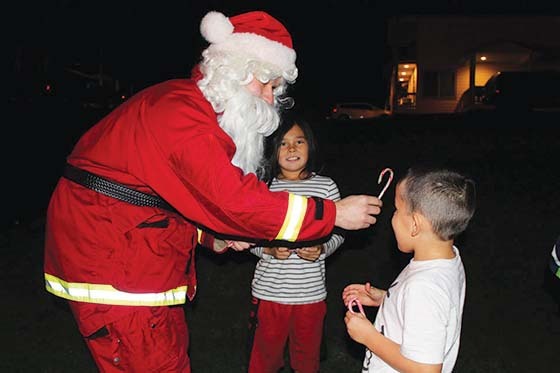 Santa Run is a three-day event in which Tulalip Bay Fire visits several neighborhoods on the reservation. 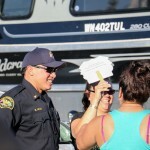 All food and money collected by the fire department is donated to the Tulalip Food Bank located at the red church. 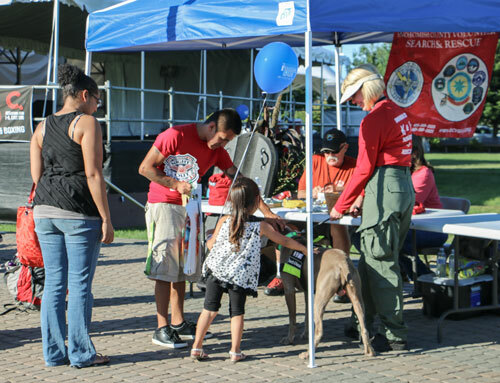 This year’s donations totaled over 1,000 pounds of non-perishable food items as well as over six hundred dollars. 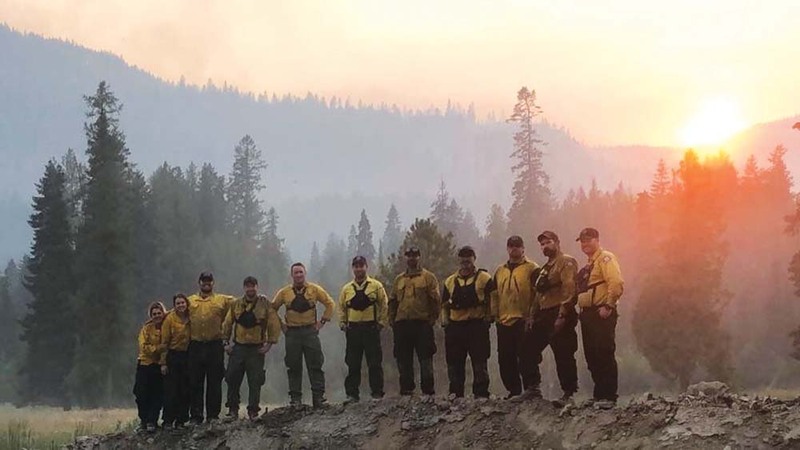 Tulalip Bay Fire Chief Teri Dodge, pictured third to last in back row, with a handful of the volunteer firefighters that serves the northern half of Tulalip from Priest Point area to Fire Trail Road. 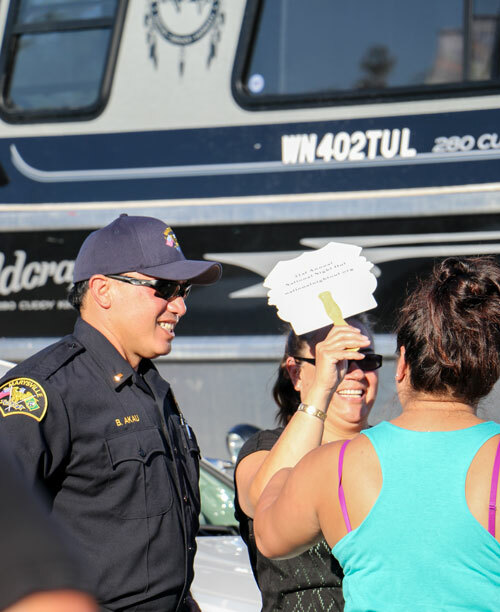 TULALIP – Firefighters at the Snohomish County Fire District #15, known as the Tulalip Bay Fire Department, are asking Tulalip tribal members to consider them when voting in this year’s general election, held on November 4. 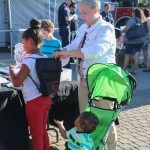 The fire department, which services 12,000 people living in an area of 22 square miles on the Tulalip Indian Reservation, is seeking permanent funding by way of an Emergency Services Property Tax levy. 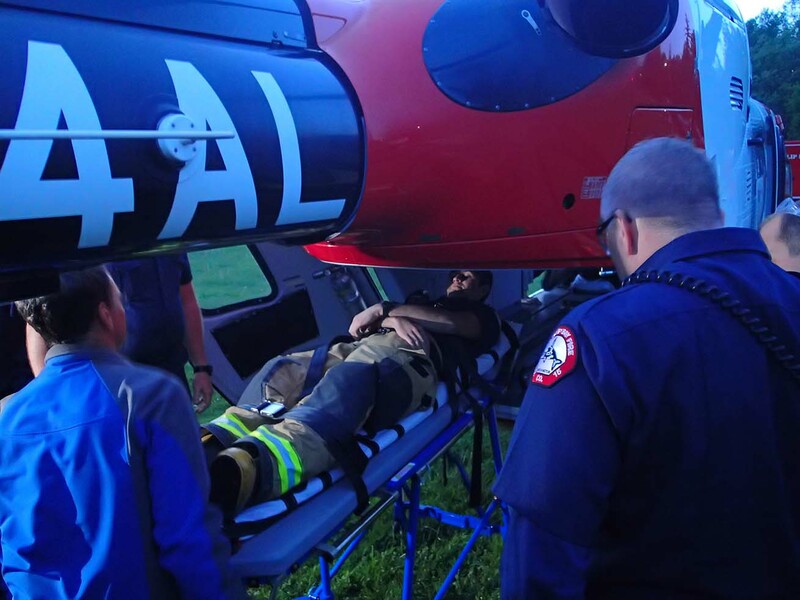 The levy will expand the department’s services to include Basic Life Support ambulance transport and improve current emergency medical services if passed. 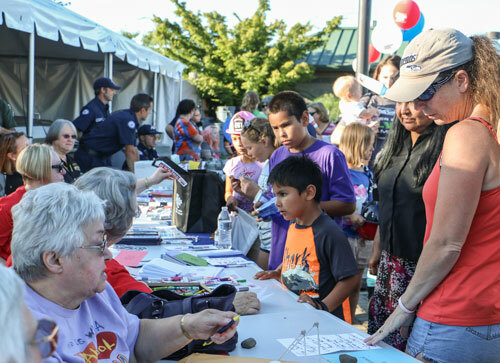 Tulalip Tribes Board of Directors supports the levy and has promised to match the requested $80,000 in the levy. This will provide funding for additional staff to transport patients to local area hospitals during medical emergencies. 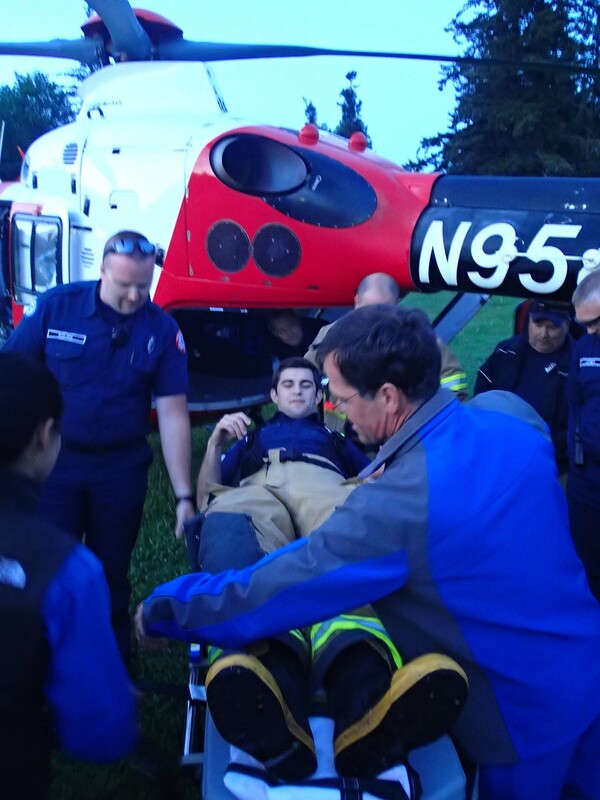 The fire department receives 700 calls a year, with 90 percent requiring medical transport. 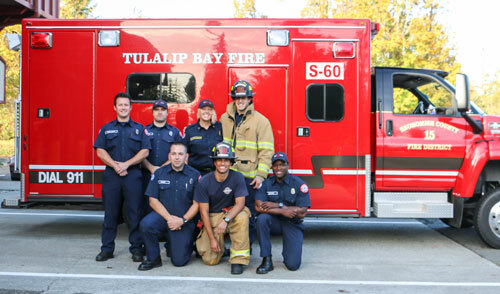 If the levy passes, Tulalip Bay Fire Chief Teri Dodge states the funding will minimize the department’s need for private ambulance services and provide essential training for staff. 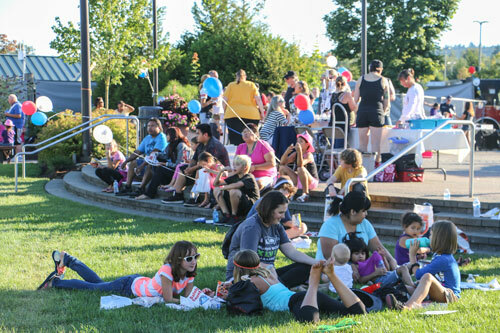 “With the addition of the Tulalip Early Learning Academy in Tulalip, the need to have our own transport has increased,” stated Dodge. “We’ve never had a levy not pass, but we need a 60 percent majority for it to pass,” said Fire Chief Dodge. 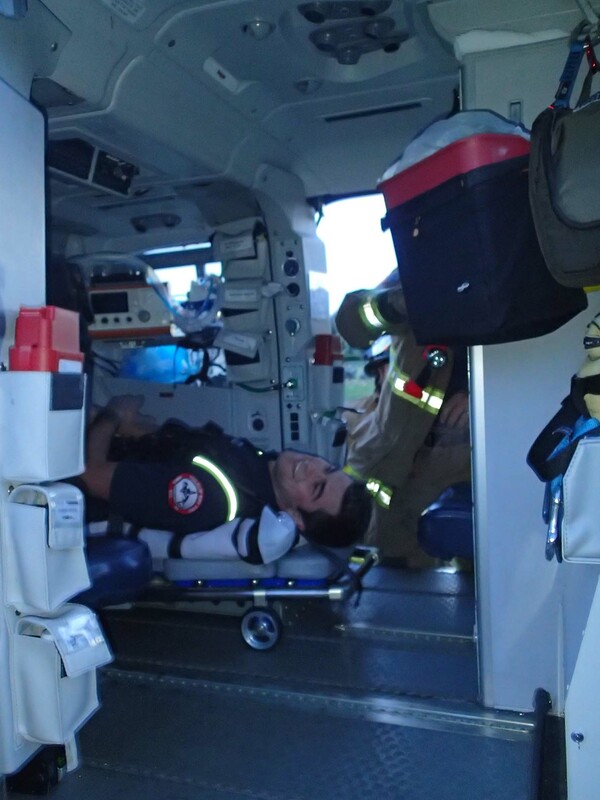 The station currently has a rotating shift of 32 volunteer firefighters, but due to a lack of funding the department has not been able to staff for their own ambulance transport. 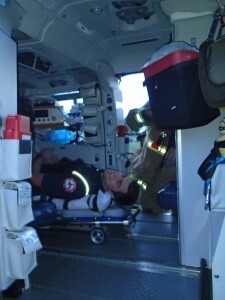 If the levy passes it would eliminate wait times for ambulances and cut patient costs. 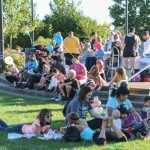 “This levy will help us help the people who are like family to us. 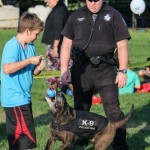 We have a great history with the community. 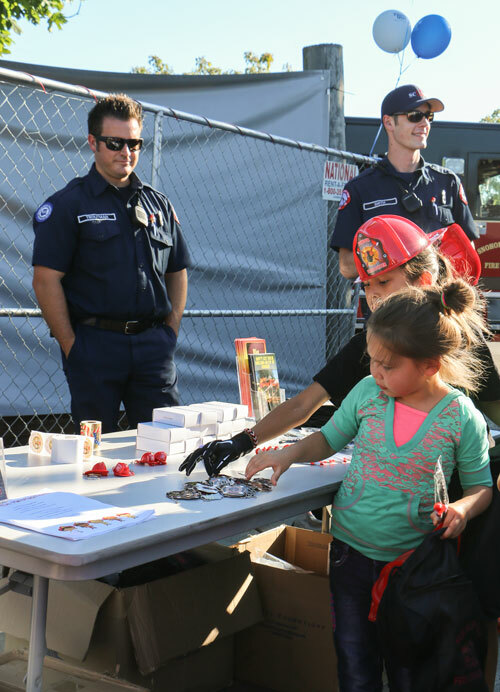 This department is different than any other fire department. 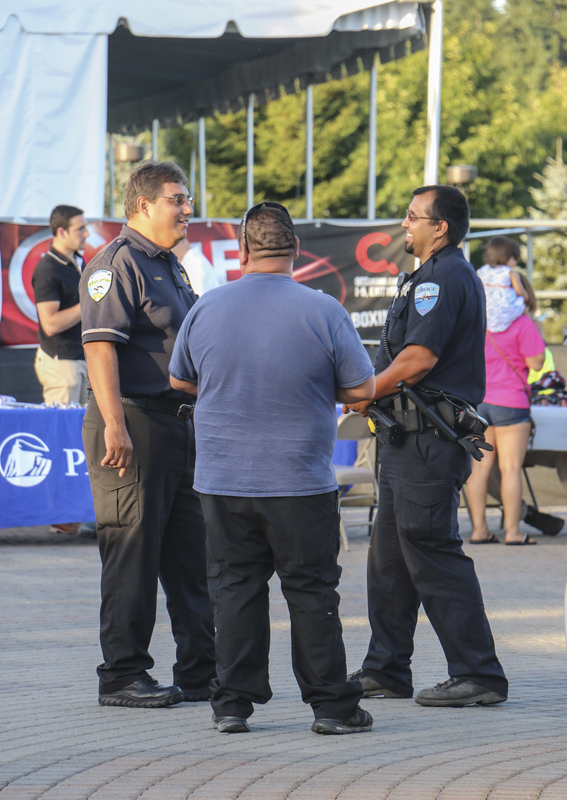 Our staff goes through extensive cultural training and it is reflected in the diversity of our staff. 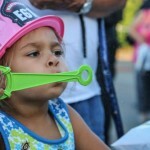 If the levy passes the cost will be a third of what it is now for our community,” said Dodge. 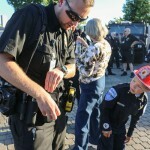 Tulalip Bay Frie Chief Teri Dodge uses an infrared sensor to measure the temperature of the burning room. 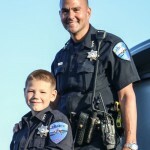 TULALIP – A ceiling of dense smoke hung inches above our heads as Tulalip Bay Firefighters and I crouched in the burning house. Removing my glove to snap a photo from the inside, I instantly felt the intense heat that filled the room around us. Crawling towards the burning room, my hand began to burn from the heat, forcing me to put my glove back on. 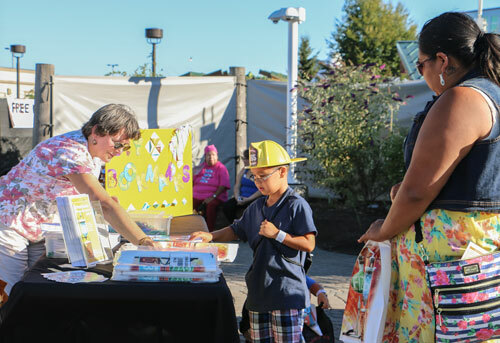 Sensors measured the heat in the room where the flames were to be above 600­o Fahrenheit, so Tulalip Bay Fire Chief Teri Dodge splashed the flames with the fire hose. Even through protective bunker gear I could feel the heat from the blast of steam that shot out from the doorway of the room. My air tank was out so I had to get outside. 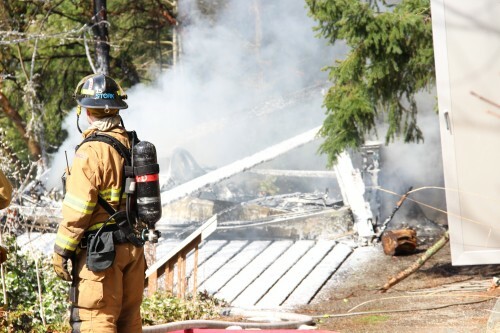 The Tulalip Bay Fire Department burned a house slated for demolition on June 14 on Mission Beach Road, across from the cemetery. They let me join them for the drill for an exclusive look at what they do, fitting me in bunker gear (firefighter boots, pants, coat, helmet, etc.) complete with an air-pack so I could safely be in the house to observe them in action. What good is any drill without pizza? We enjoyed a lunch of four different kinds of pizza after the first round of drills were finished. 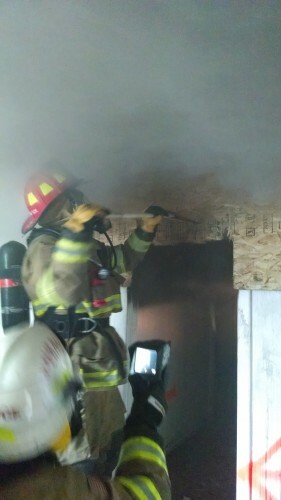 Then on to the second drill, flashovers. Fireman Eric Berwick punches out portions of the wall for ventilation. I didn’t understand the term, but it sounded exciting. Once more I geared up to go in, though I could only stay in for one round due to safety concerns. There we were, crouched down. A second room was set on fire during lunch and had grown to a good size blaze. I couldn’t get any pictures, having to keep all of my protective gear on. Site commander Tom Cohee was my guide for this round, taking the time to explain what firefighters look for in a fire. Going in we had to crawl. 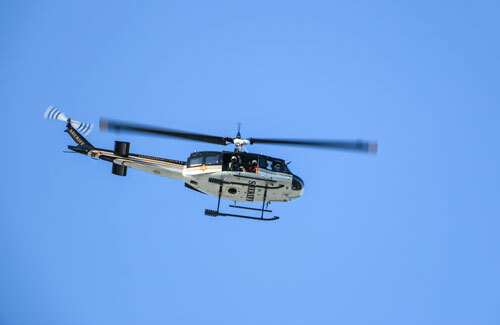 The temperature in the smoke above us was upwards of 200o, much hotter than the 110o on the ground where we were. A firefighter would spray water at the ceiling, and depending on how much came down, they could gauge the temperature of the air above. As things heated up, another ceiling spray, and a cloud of steam surged downward, making visibility so low I couldn’t see my hand in front of my face. They didn’t spray again for a few minutes, letting the gasses and flames build for the flashover. 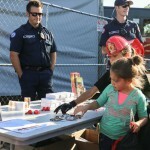 Cohee explained that flashover is when the air above, which is filled with gasses from things burning, gets so hot that they catch fire and flash, allowing flames to extend out of the burning room, the length of the house ceiling. No sooner had he explained than a flame whipped across the ceiling, rolling down the back wall I was leaning on. 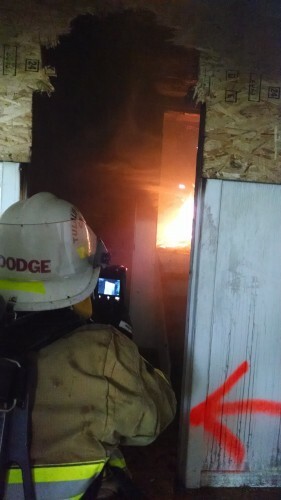 A few ceiling sprays cooled the air enough to contain the flashover. I exited with the team. I was heating up in all the gear, but I didn’t realize how hot it actually was in the house. Once outside, I removed my gloves and grabbed my helmet. That was a mistake. I couldn’t touch it any more than I could touch a skillet. 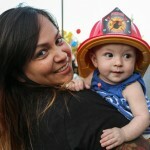 I have a new appreciation for the work firefighters do. 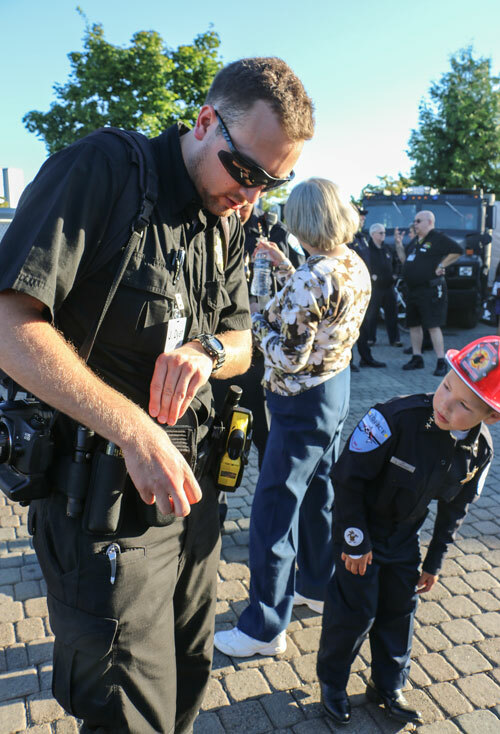 Tulalip Bay Fire Department is committed to the Tulalip community. 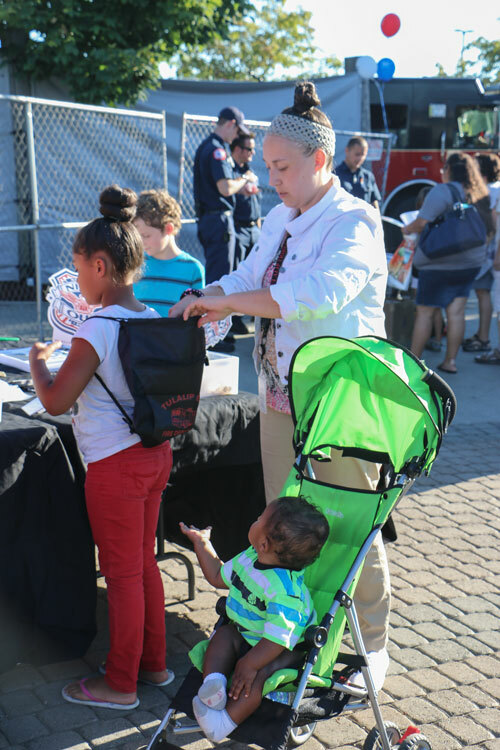 In addition to responding to emergency calls, they can be found handing out fire safety information and tips at different events, like the health fair at the Tulalip Karen I. Fryberg Health Clinic. 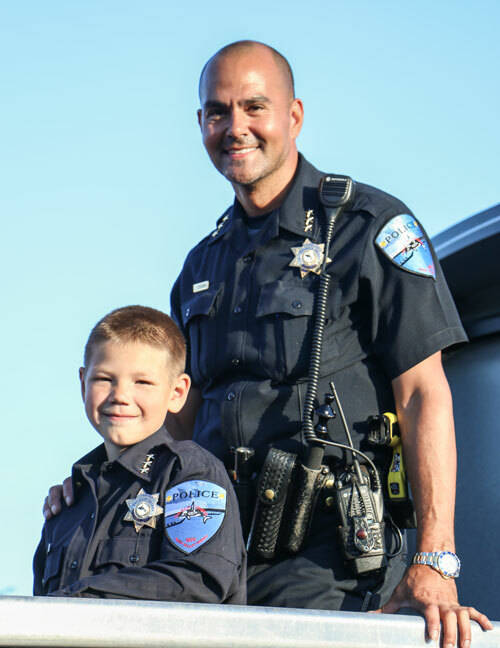 If you see them out in the community, be sure to say hi. 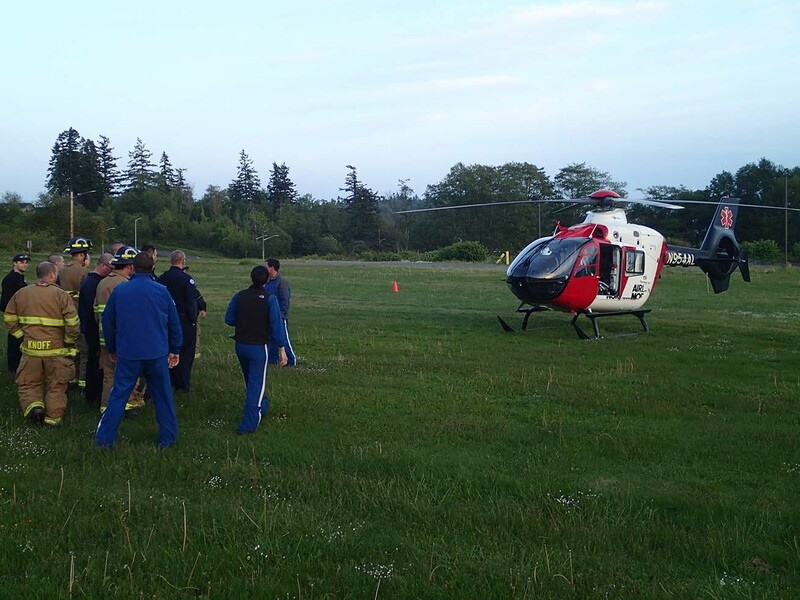 The Tulalip Bay Fire Department is updating emergency plans, which includes finding landing zones for patients needing helicopter transport. 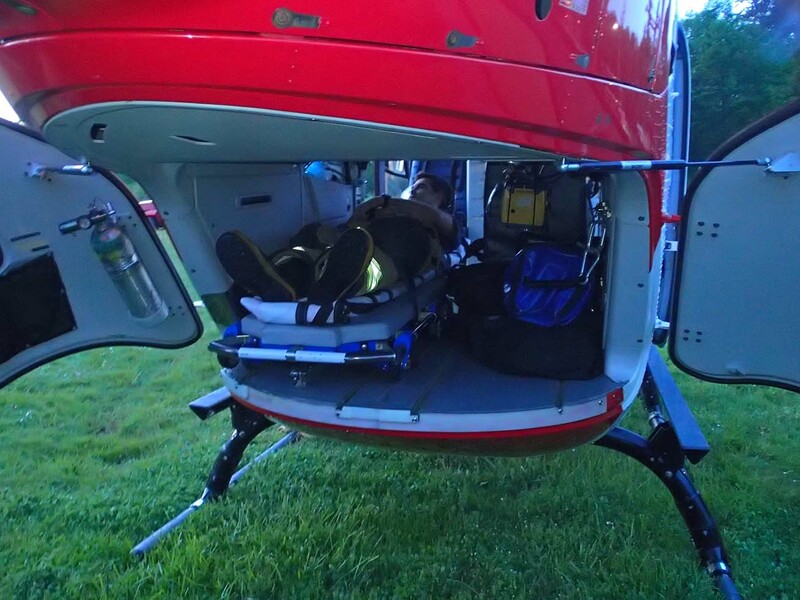 On Wednesday, May 7, TBFD coordinated an airlift drill with Airlift Northwest, a Med-Evac company that operates in Snohomish County. 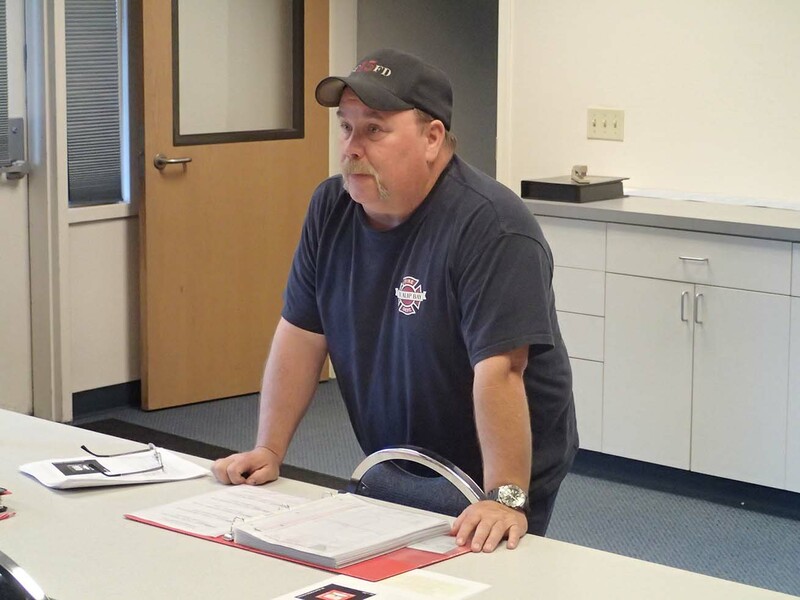 In addition to finding suitable landing zones accessible to various housing developments, TBFD firefighters reviewed airlift protocols and safety procedures. 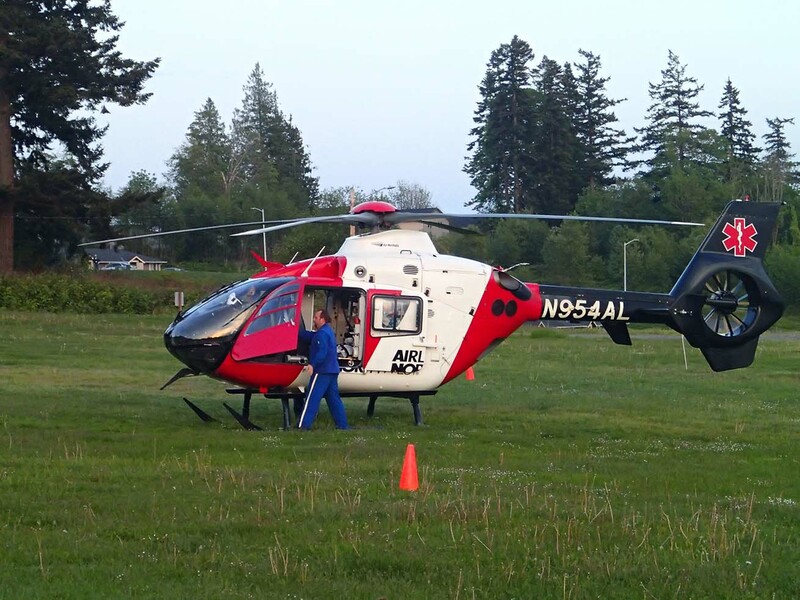 At approximately 8:30 p.m. the Airlift Northwest Med-Evac helicopter landed in the field next to the Tulalip health clinic, the old Boom City site. Firefighters set up the landing zone prior to the arrival of the Med-Evac. 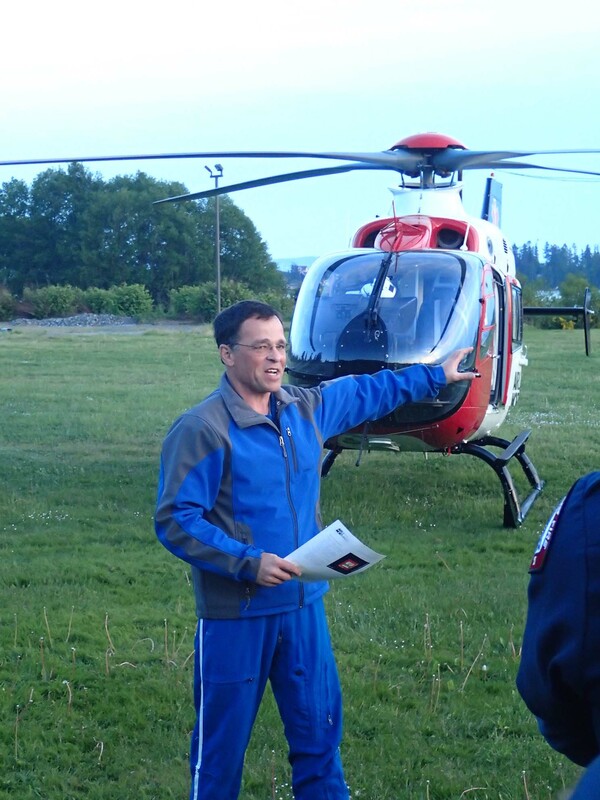 When the helicopter had landed, the emergency response team from Airlift Northwest reviewed some landing procedures, highlighting what TBFD did well, and what to keep in mind for emergency situations. Airlift Northwest also discussed how landing procedures might vary depending on time of day, weather conditions, the patient condition, and status of a landing zone. They then demonstrated how to properly load a patient into the helicopter. 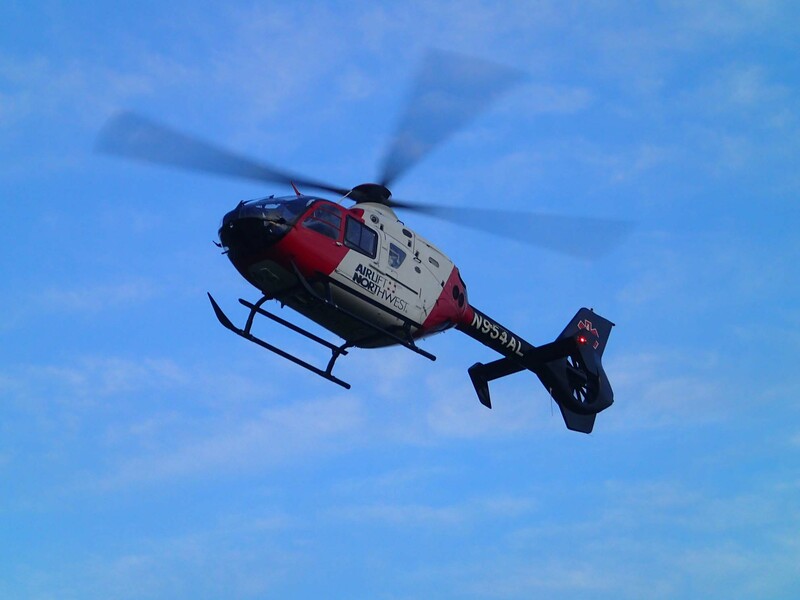 TBFD has selected and defined five landing zones around the reservation, near neighborhoods and areas with higher population densities. 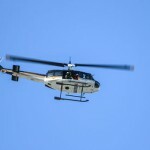 In addition to identifying landing zones, they have developed a protocol for contingent landing zones. 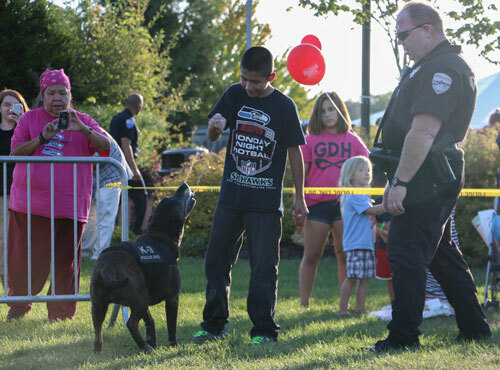 For example, the baseball field at the tribal center is a landing zone, but it could be occupied for a game or other event at any time. Therefor the contingent landing zone is the old Boom City site, where the drill was executed. They have also developed a protocol for securing on-scene landing zones, where a Med-Evac chopper could land in a suitable location other than one of the designated landing zones. 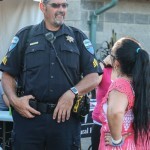 The commotion inevitably drew some attention from vehicles passing by, with many stopping to observe what was going on. 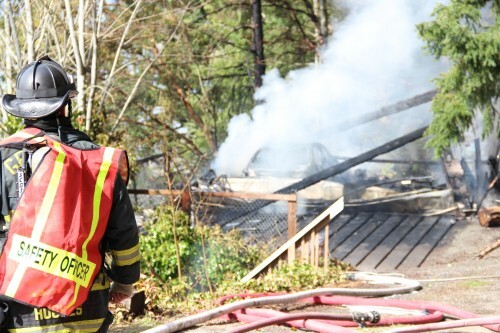 Tulalip – Tulalip Bay, Stanwood, Getchell, and North County fire departments responded to a garage fire at Sunny Shores around 12:30 this afternoon. Firecrews arrived to find the structure fully engulfed in flames. 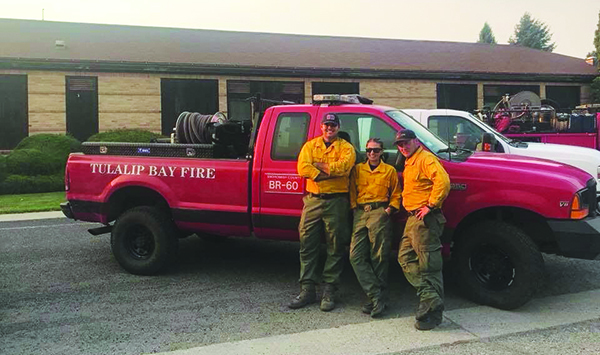 “There was nothing left of the roof, the walls were almost completely gone, the metal door had melted down, and the car was gone,” said Tulalip Bay Fire Chief Teri Dodge. 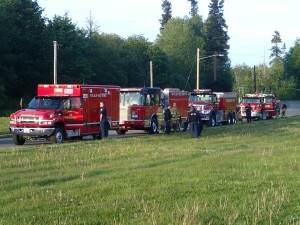 Water tenders brought water down the one-lane access road, because there are no hydrants in the area. After extinguishing the fire, crews sprayed foam on the scorched remains to prevent accelerants from reigniting the blaze. 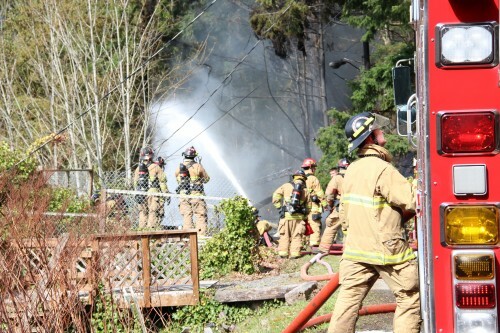 In addition to limited access and limited water, there was a downed power line that crews had to work around until Snohomish County PUD was able to cut power to the line. 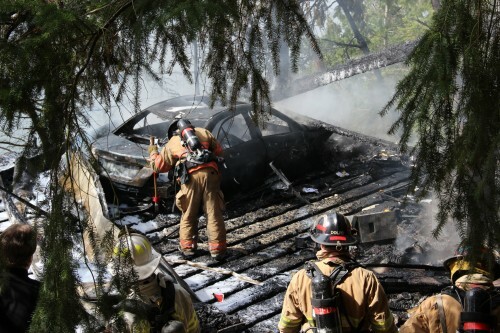 The garage burned completely to the ground, leaving only the floor and what remained of the vehicle inside. The fire was discovered by homeowner Heidi Atterson who then called 911. 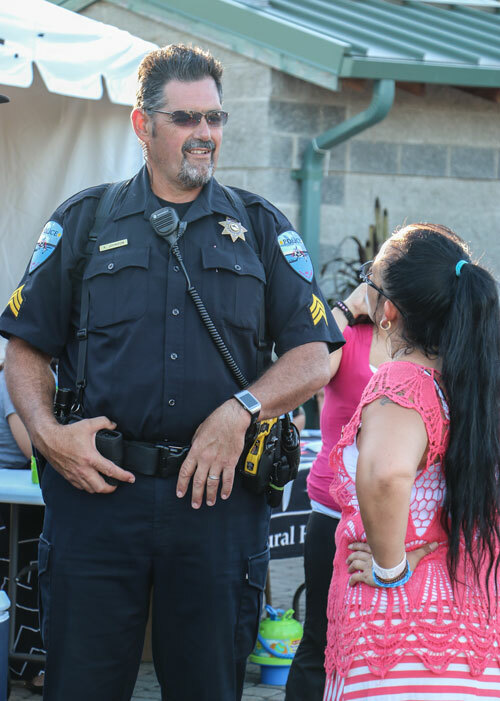 Her husband, Steve Atterson, arrived on scene shortly there after. 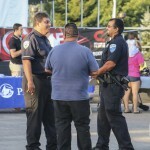 The cause of the fire has yet to be determined, though it is suspected to have began as an electrical fire. 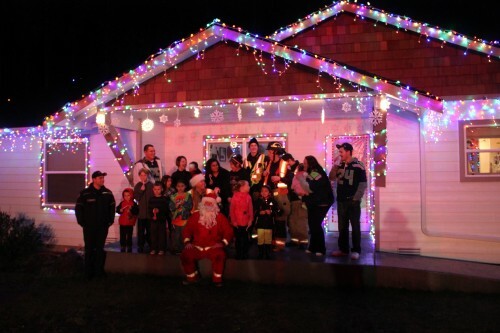 Tulalip Bay Fire Department brought a little Christmas cheer to the neighborhoods of Tulalip. 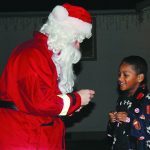 A parade of the department’s two fire engines and ambulance had Santa riding along on an engine, jumping off to pass out hugs and candy canes to kids from one to ninety-two, all the while trumpeting horns and blasting sirens to let people know that Santa had come to town. 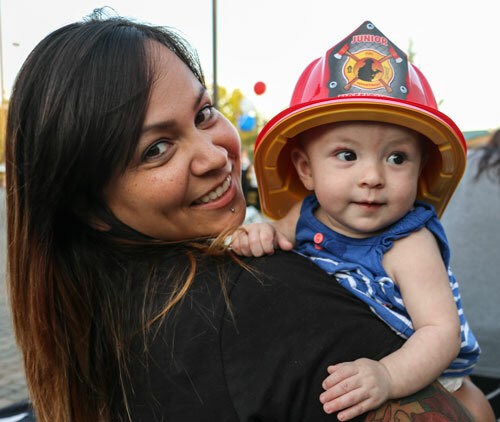 Kids and their families lined the streets on December 14th and 15th as Santa rolled through with his firefighting elves. 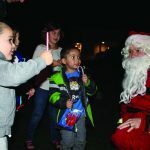 The children’s faces lit up as soon as they saw him, or maybe that was from all the lights decorating the fire engines. 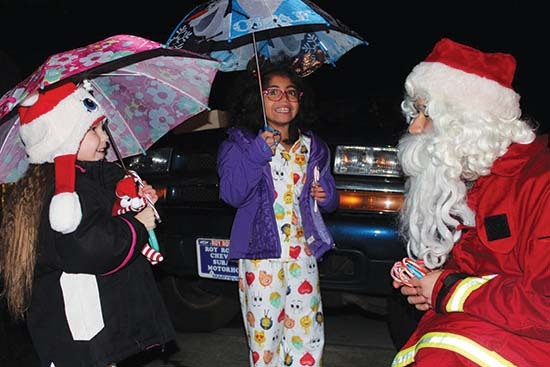 A few times Santa and his elves joined families for a chorus of Rudolph the Red Nosed Reindeer. Passing neighborhood traffic didn’t seem to mind Santa parading down the street, many times passing cars stopped to join the holiday festivities. 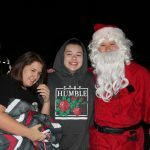 The Holiday Santa run started at 5pm each day and lasted five hours, all the while collecting food and monetary donations for the Tulalip Food Bank. 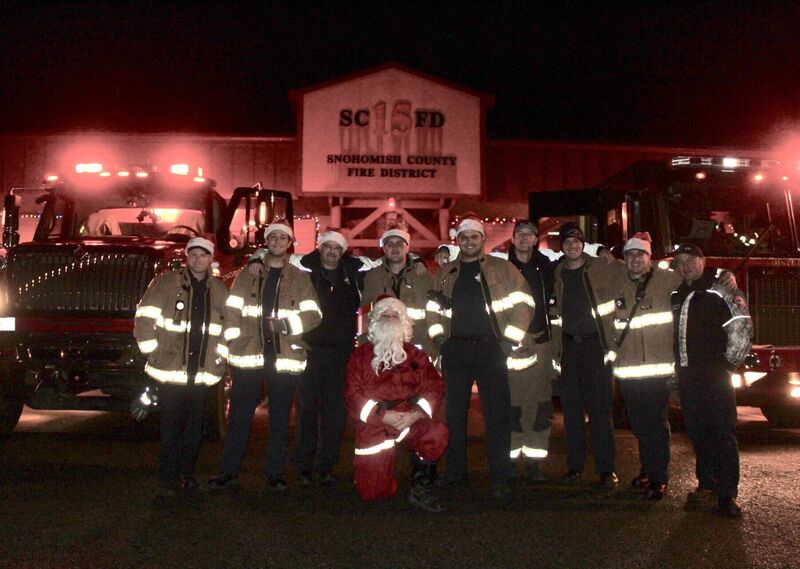 Santa and his elves filled the ambulance with donations over the course of the weekend. 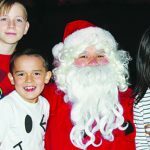 There are many photos of Santa visiting children and their families. 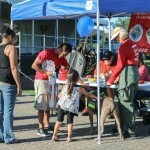 To view them please visit tulalipnews.com, or see our new facebook page; search Tulalip News.